Alexander Richard Pettyfer is the British actor and model who has become famous for his roles in Stormbreaker, In Time, and Magic Mike. Alex was born on April 10, 1990, in the town of Stevenage, Hertfordshire, Great Britain. The boy’s parents belonged to the artistic bohemia. The father Richard Pettyfer was quite a famous actor; however, he did not influence Alex’s career and artistic development. The mother Lee Robinson was a model. When Alex turned three, the parents divorced. The mother married again soon, and the new family moved to Windsor where his stepfather Michael Ireland owned a real estate agency. In a while, Alex’s half-brother James was born. The boys were completely different: James was fond of sports and reached a lot in tennis while Alex dreamed of cinematography. The would-be actor started working early: initially, it was a yogurt ad; later, he advertised a famous English clothing brand. 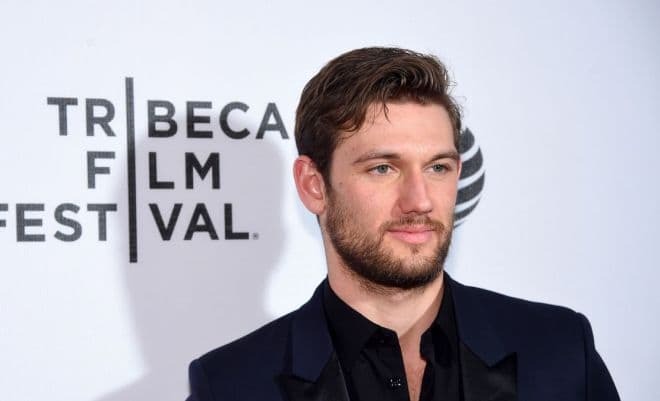 Alex Pettyfer had every chance to develop his modeling career: at eight, Ralph Lauren noticed a handsome boy in a New York toy store and offered him to work as a model. Alex appeared in the brand ads and simultaneously mastered his acting skills. He participated in performances of a small amateurish theater and debuted as a baker in the play Charlie and the Chocolate Factory. In 2006, Alex Pettyfer finished school and entered a drama college. At that time, the young man believed his modeling career was over. Alex Pettyfer began his movie career when he was a school student. In 2005, when it was Alexander’s final year, he was invited to play the main character of the youth sitcom Tom Brown’s Schooldays. This project told the story of the real person: the school headmaster (Steven Fry) who changed the system of education in Great Britain in the 19th century. This story is given through the eyes of the young student played by Alex. Thus, the new star appeared in the modern English cinematography. In the same year, Pettyfer auditioned for the role of a young spy in Stormbreaker and succeeded despite the fact that more than 500 candidates auditioned as well. Ewan McGregor played the boy’s uncle and the undercover spy; Mickey Rourke became the antagonist of the movie. The fantastic action movie’s box office was $23 million. The young actor could have appeared in another action movie, Eragon. However, the movie was being made in the Czech Republic, so the actor would have to go by plane. As it turned out, Alexander had aviophobia; consequently, he preferred to stay in his country and participated in Stormbreaker. After the premiere, the young actor became the new idol of the English audience, particularly, the younger generation. 2008-2009 were successful for Alex: he starred in two fascinating projects. 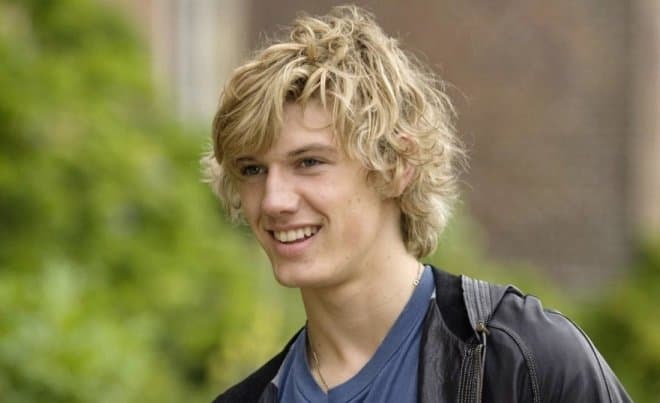 In the comedy melodrama Wild Child, Pettyfer played Freddie, the son of the headmaster of a British boarding school for girls. As the story runs, the main character Poppy (Emma Roberts) falls in love with Freddie. In the thriller Tormented, Alex played a teen gang leader. The cruel teenagers have to face the unknown: the ghost of Bradley, the school outcast who had committed suicide because of bullying, starts hunting them. The two-year career gap followed: Alex focused on studying and preparing for new roles. Besides, the young man took up modeling again and began to collaborate with the popular brand “Burberry.” Alex’s charisma and attractiveness were noticed: he was included in the list of 50 British eligible bachelors. The actor’s height is 181 cm., and his weight is 75 kg. In the same year, Beastly was released: it was the movie adaptation of the fairytale about Beauty and the Beast. Kyle, the main character, is the most handsome and arrogant guy in his school. For his unkindness, the witch Kendra (Mary-Kate Olsen) casts a spell on the young man: he becomes ugly. To return to his regular appearance, Kyle has to make Lindy (Vanessa Hudgens) fall in love with him. As Kyle and Lindy communicate, the young man’s character transforms. In 2011, the action movie with Alex Pettyfer and Justin Timberlake In Time was released. The movie Magic Mike followed; Alex played a shy young man Adam who was turning into a star stripper under the governance of the dancer Mike (Channing Tatum). The movie’s box office was $167 million. In 2013, Pettyfer took part in the biographical drama The Butler. In 2014, the premiere of the melodrama Endless Love with Alex Pettyfer and Gabriella Wilde took place. This lyric drama tells the story of two graduates: a simple guy David and Jade, the girl from a rich family. Critics named this project to be one of the most outstanding works of the actor in the last years. Handsome and charming, the British actor has always been the object of women’s admiration. Alex Pettyfer’s personal life has been stormy. The relationship with the actress Sarah Bolger was the first affair widely discussed by media. Alex and Sarah met at the movie set of Stormbreaker. However, their love did not last long. The next relationship was long and serious: the actor was seeing Emma Roberts, Julia Roberts’s niece. Alex had the tattoo on his shoulder with Emma’s initials. Later on, Olivia Simpson, the daughter of Alex’s personal manager, conquered the actor’s heart. However, the affair was short-term: Olivia tried to control her boyfriend’s life which probably caused their fast breakup. It happened right after Pettyfer’s work in I Am Number Four where Pettyfer and his stage partner Dianna Agron got close. There were many rumors about their plans to marry, but the engagement was suddenly called off. For some time, Alex was dating Elvis Presley’s granddaughter Riley Keough. They announced their engagement, but in summer 2012, the actress informed journalists about the breakup caused by the actor’s alleged cheating. Alex was not single for a long time: Marloes Horst, the model from Holland, became his new girlfriend soon. The affair lasted for two years, and the couple split up. Nevertheless, in October 2016, the actor tried to restore the relationship and gave Marloes a ring with a diamond as a present. In 2016, the comedy Elvis & Nixon came out; Kevin Spacey and Michael Shannon played the leading parts. Alex played Jerry. The movie creators suggested what the tet-a-tet conversation between the rock’n’roll king and the American President could be like. In March, the world premiere of the drama The Strange Ones about two brothers took place. Alex played one of the leading parts. The drama Back Roads is the actor’s recent project. Pettyfer played the main character in this project and directed it at the same time.